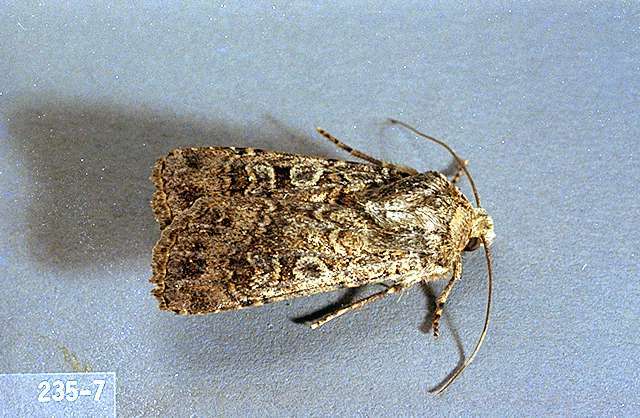 Pest description and crop damage Forewings of the darksided cutworm are usually light, powdery, and grayish brown with indistinct markings. Larvae are pale brown dorsally and white on the ventral areas, with indistinct stripes on the sides. 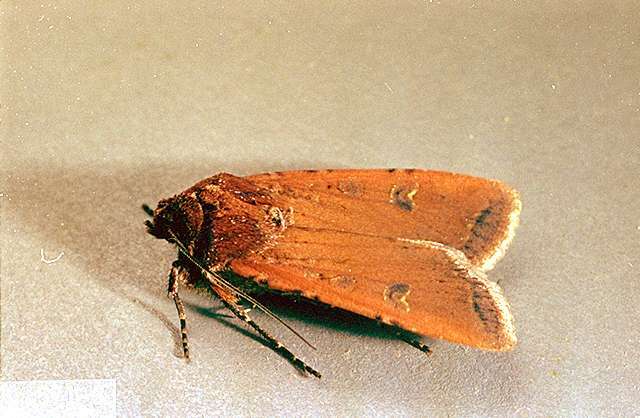 Redbacked cutworm adults have reddish brown forewings with bean-shaped markings. 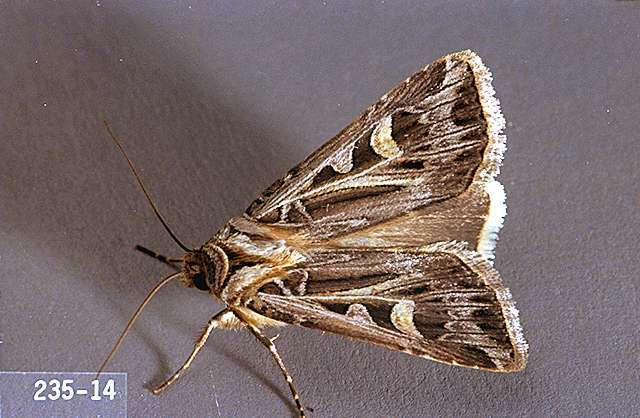 Larvae are dull gray to brown with two dull reddish stripes along the back. 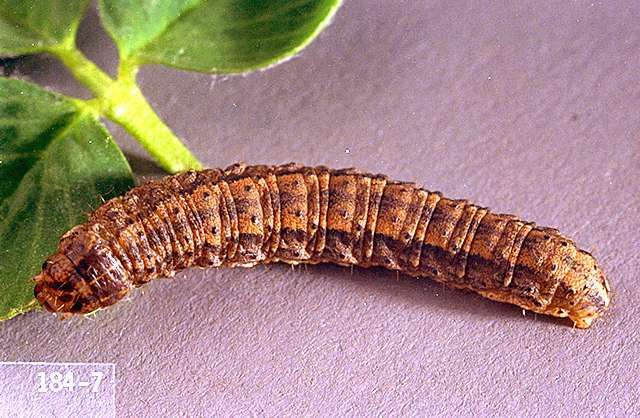 Dingy cutworm adults have dark brown forewings with bean-shaped markings. Hind wings of the male are whitish with a broad, dark outer margin; hind wings of the female are uniform dark gray. 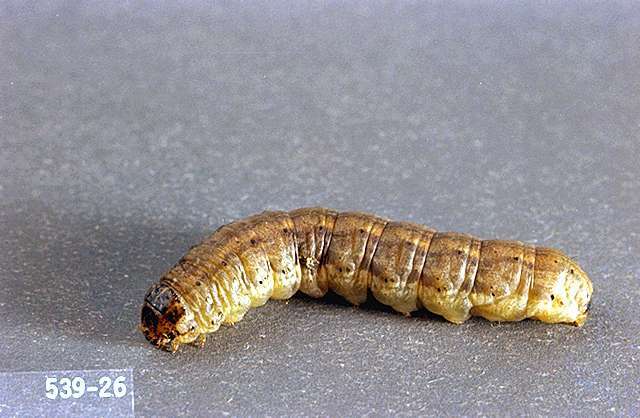 Larvae are dull brown with pale shading along the back. Cutworm damage normally consists of stems cut 1 inch below the soil surface to as much as 1 to 2 inches above the soil surface. 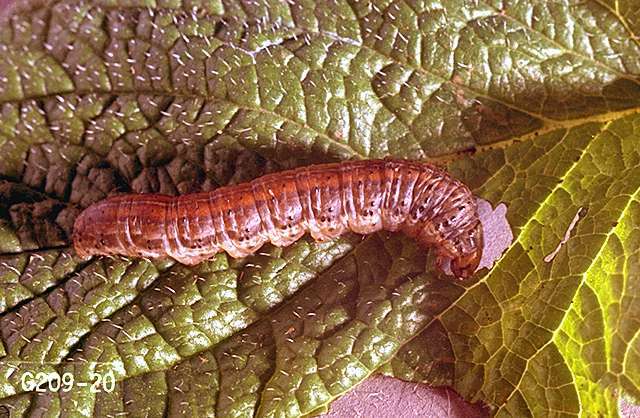 Young leaves may be severely chewed by cutworms that climb up to feed on plant foliage. Economic threshold Treatment is recommended at one cutworm per sq ft or when significant plant stand loss is noted. beta-cyfluthrin (Baythroid XL) at 0.007 to 0.013 lb ai/a. A maximum of 0.22 lb ai/a per 7 days or 0.066 lb ai/a per season. PHI (pre-grazing and pre-foraging) 30 days. REI 12 hr. chlorpyrifos (numerous products) at 1 lb ai/a. 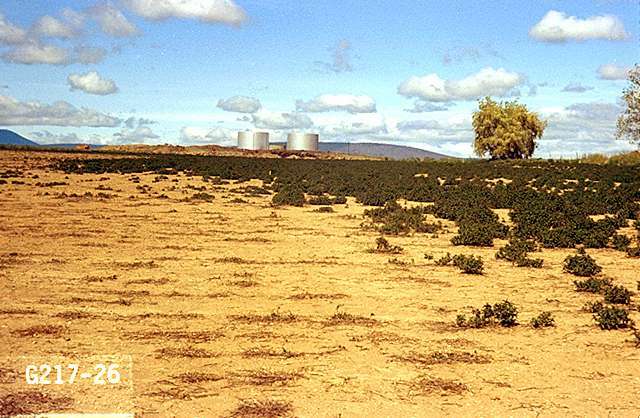 Do not apply chlorpyrifos again within 10 days of the first application. Do not graze or feed treated forage. PHI 42 days. REI 24 hr. esfenvalerate (Asana XL) at 0.02 to 0.05 lb ai/a. A total of 0.132 lb ai/a may be applied per season. PHI 28 days. REI 12 hr. gamma-cyhalothrin (Proaxis) at 0.0075 to 0.0125 lb ai/a. Do not apply more than 0.12 lb ai/a per season or more than 0.09 lb ai/a after bloom begins. Less product is allowed if other cyfluthrin compounds are used; see label. PHI 45 days. REI 24 hr.